Preventative dentistry is something everyone should invest in. This type of smart dental care will keep you healthy and help to head off serious conditions that can develop over time when your teeth aren’t properly cared for. 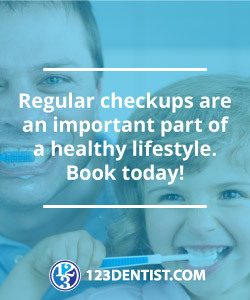 It’s important for patients to understand what preventative care is and how it fits into their health care schedule so they can protect their teeth and work toward achieving and maintaining a bright healthy smile. Preventative dentistry refers to dental care that’s designed to preserve one’s oral health and prevent future dental problems. Essentially, it focuses on providing the care necessary to keep one’s teeth healthy. While other types of dentistry, such as cosmetic services or restorative care, are only of interest to some patients, preventative dental care is important to everyone. If your teeth are currently in perfect shape, this form of dental care is the key to keeping them that way. If you’re looking for a smart way to improve your smile, preventative dentistry can help here as well. Properly caring for your teeth on a regular basis will keep them in their best shape so you can enjoy the comfort and confidence that comes from a healthy smile. What Does Preventative Dentistry Include? Brushing your teeth daily. The Canadian Dental Association recommends using a soft-bristle toothbrush and fluoride toothpaste. Brushing your tongue along with your teeth to remove excess bacteria from the mouth. Flossing daily between all your teeth. Replacing your toothbrush three to four times a year. Eating a healthy balanced diet with minimal sugar intake and plenty of water. What Is the Dentist’s Role in Preventative Dentistry? There are many preventative activities that you can handle at home, but you shouldn’t overlook the importance of regular visits to your dentist. Don’t wait until you feel the telltale pain of a cavity or notice bleeding gums to go see a dentist. Check for signs of decay, damage, or other pending problems. Perform an oral cancer screening. Complete a dental cleaning to remove plaque and tooth stains. Review proper brushing and flossing techniques with you. Why Is Preventative Dentistry Important? Preventative dentistry is directly linked to your oral health. Dental health among Canadians has improved dramatically over the last 40 years, and in this time, the percentage of the population who consults a dentist at least once a year increased from 49.5 percent to 74.5 percent. Meanwhile, the percentage of adults with no natural teeth decreased from 23.6 percent to just 6.4 percent. Roughly 80 percent of Canadians now have a dentist, and about 85.7 percent visit their dentist within a two-year window. However, we could still do better. Nearly half of Canadians who haven’t seen a dentist in the last year have gum disease. One in three Canadians has some type of dental need. Good oral health obviously improves the condition of your teeth, but it can go far beyond your mouth. Oral health is linked to many other conditions throughout the body. Oral bacteria can contribute to an increased risk for heart disease and a heart infection known as endocarditis. Poor dental health in pregnant women can contribute to a low birth weight and premature birth for their babies. Preventative dentistry can have a notable impact on every part of your health. If you’re overdue for this type of care, make an appointment for an annual cleaning as soon as you can. Visiting the dentist when you have good oral health may seem like an unnecessary expense. However, preventative dental care will help you save money over time. The cost of a regular preventative visit is far less than what you’ll pay for fillings, crowns, dental implants, or other types of restorative and cosmetic care. Many insurance plans cover your annual cleanings entirely, while they cover only a small percentage of the cost for other procedures. Scheduling preventative care is better for your health – and your budget. If you haven’t seen us recently, take the time to schedule an appointment now. Our team at Fraserview Dentist is here to help. Put a smart dental cleaning on your calendar now, and you’ll enjoy the benefits of comprehensive preventative care all year long.